Tempers flared on Tuesday night when Arkansas squared off against Missouri, but the real showdown was between coaches. Razorbacks coach Mike Anderson returned to Columbia for the first time since leaving the Tigers, and current Missouri coach Frank Haith apparently hasn’t taken too kindly to some of the credit Anderson has placed upon himself for Haith’s recent success. Anderson made no secret that he felt he left the program in great shape for Haith two seasons ago. “That was a team that probably could have contended for a Final Four. I really thought that. … So you ask me what kind of shape it was in? … It was in great shape. Most guys don’t inherit a team like that.” Did Haith take that statement personally? Perhaps he did take offense, based on the altercation during one of the timeouts of Missouri’s thumping of Arkansas. So it just might make you giddy to know that there is still a possibility that Missouri and Arkansas could face off once more in the quarterfinals of the SEC Tournament, if a couple of things go the right way for both teams this weekend. There has been a lot of bubble chatter on this site, nationally, and among anyone who follows college basketball even moderately. The stakes were clear for both Ole Miss and Alabama, two teams widely considered among the first four out or close thereafter, going into Tuesday’s game. Win, and live to see another day. Lose, and the bubble would burst. But according to at least one opinion, all of the excitement over the bubble was for naught because ultimately, “this Alabama team is not an NCAA Tournament team. Over and out.” Alabama has wins over Villanova, Tennessee, and Kentucky, but none of those are victories are likely to impress the committee too much. With three losses in their last four games, it is probably time for the Tide to focus their efforts on the postseason, but perhaps the NIT is a more appropriate goal at this point. Auburn senior guard Frankie Sullivan finally broke out of a severe slump on Wednesday night against the Tennessee Volunteers. He scored 24 points, his largest contribution since a 26 point effort against Arkansas on January 16. Following that double overtime loss in Bud Walton Arena, Sullivan was averaging almost 18 points per game, but from that point on, he managed just 9.7 points per game on 31 percent shooting from the field. Head coach Tony Barbee thinks it’s all in Sullivan’s head. “This stretch right here is as mind-boggling as anything I’ve seen,” Barbee said. “Those are shots that are as automatic as automatic can be for a guy. He’s just struggling mentally right now.” Unfortunately, Sullivan’s resurgence against the Vols is too late for the Tigers to make an impact in the league after losing fourteen of their last fifteen games. Florida is still experiencing some gaps during stretches on offense, but the Gators continue to rely on defense to win games. 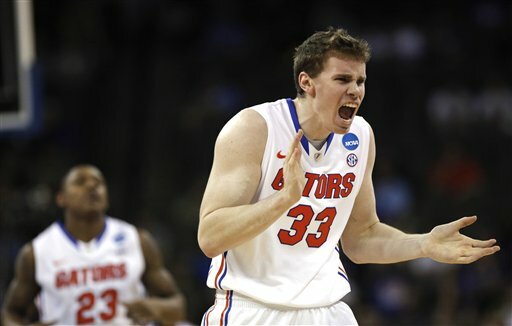 “Defense got it done for us tonight,” UF forward Erik Murphy said. “We weren’t clicking on offense early and it allowed us to overcome some things before we got into a rhythm.” Coach Billy Donovan said the Gators’ level of defensive efficiency against Vanderbilt is the way it should always be. “We need to do that to all the teams we play,” Donovan said. “They were a team that, scouting them, definitely was playing better and making shots from the 3-point line. We really collectively, I thought, did a good job there and didn’t give them too many easy layups.” Florida held Vandy to just 40 points on 26.9 percent shooting from the field. If UF continues to be inconsistent on offense, its defense will be forced to lead the way. “Correlation does not always imply causation” as our friends at A Sea of Blue point out, but in this case the evidence certainly seems to fit. Kentucky has lost four of the five games it has played this year where the pace was played at 66 or fewer possessions. Kentucky’s scoring in transition has clearly been more effective than its half court offense, but is UK actively pushing the pace or settling for working on its half court woes? What has to be concerning for Kentucky fans is that the Wildcats seem to be slowing down. Other than a January 29 date with Ole Miss, one of the most uptempo teams in the nation, the Cats haven’t gone over 70 possessions since January 2. Tennessee forward Kenny Hall is in trouble again, this time after an arrest for driving on a suspended license. Police stopped Hall for going 15 miles per hour over the speed limit, after which it was determined that his driver’s license was suspended for a previous unpaid fine. Hall missed the last 11 games of last season for an undisclosed violation of team rules. It is unclear now how this situation will affect Hall’s status with the Volunteers but University of Tennessee athletics department spokesperson Tom Satkowiak said, “The administration and coaching staff are aware of the situation, and it is being addressed internally.” Guess we’ll find out when we find out. This season has reached an embarrassing low for Auburn‘s basketball team after six straight losses in SEC play. “I’m pretty sure that you would be embarrassed too if you lose six straight and you have a team that has the talent and is one of the best recruiting classes you can put together, and then having seniors that are not producing,” senior guard Frankie Sullivan said. “It’s very embarrassing. It’s hard to even get on a social network or talk to your family or friends about basketball because you’re embarrassed.” The six-game losing streak has brought Auburn’s record down to 8-13, but a home date with rival Alabama on Wednesday would be a perfect time for the Tigers to break their current skid. LSU coach Johnny Jones has full confidence in point guard Anthony Hickey, especially after his late-game heroics on Saturday against Mississippi State. “He’s what I like to call a warrior and a winner,” said Jones. “He doesn’t shy away or back away from those opportunities at the end of games.” Hickey scored seven of his 12 points in the final 46.7 seconds of the game including a game winner with just over a second remaining. The Tigers are finally starting to turn the corner, winning three of their last four games. Is there a clear explanation for Kentucky’s back-to-back losses? Florida – The Gators just keep winning with one key reason: an evenly spread, highly efficient offense. Of the two marquee match-ups Florida has had so far this season, they have won against then-#22 Wisconsin by 18 points, and most recently, against a regularly tough Marquette squad, 82-49. The Gators are averaging nearly 74 points a game on 47% shooting (36% from beyond the arc). In the win over the Golden Eagles last week, six Gators, including three off the bench, posted double figure points while shooting over 50% from the field. Florida’s chemistry and rhythm has led them to the top of the SEC Power Rankings and a top six ranking in the national polls. Missouri – With most of the attention involving Missouri is focused on Michael Dixon leaving the team, the Tigers have been able to focus on winning with their other personnel. The key to Missouri’s quick turnaround has been forward Laurence Bowers, making his presence known this year after missing last season due to injury. Bowers posted a season high 23 points on 9-of-11 shooting in the Tigers’ win over Appalachian State last Saturday, including 3-for-3 from long distance. With no other difficult match-up until the annual “Braggin’ Rights” showdown versus Illinois later this month, Missouri should remain near the top of the Power Rankings. Alabama – A narrow 58-56 loss to #17 Cincinnati showed Alabama’s true colors earlier this week. The Tide rallied from 13 down to only lose on a Cashmere Wright fadeaway at the buzzer. Alabama could have used another efficient night from guard Trevor Releford (5-15 shooting, only 12 points), but a loss to a ranked Cincinnati team tested Anthony Grant’s club the entire night and proved that they have the ability to rally when needed. Both Dayton (5-2) and VCU (5-3) come to Tuscaloosa in the next few weeks for another couple of solid tests for the Tide. Every week, the SEC microsite will post a composite power ranking list for the league’s performances coupled with a short commentary justifying each team’s specific ranking. We’ve been able to see each team in action, but with vastly different degrees of difficulty as far as scheduling, we’ll need to see more before the rankings truly take form. A perfect night for Erik Murphy propels the Gators to the top spot. Florida– The Gators’ offense has shown the potential to be dominant. 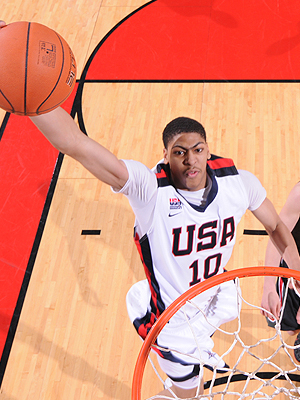 The lineup is bursting at the seams with skilled scorers, both in the frontcourt and backcourt. In going 10-10 from the field, we’ve probably seen senior Erik Murphy‘s best performance of the season, but he should have no problem improving on last year’s breakout campaign. Turnovers have been a concern, but with the reinstatement of point guard Scottie Wilbekin allowing Kenny Boynton to move to the two, Florida should be able to take better care of the ball. 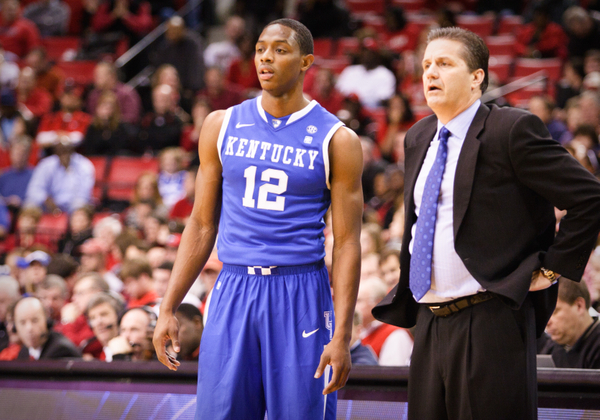 Kentucky– The loss to Duke isn’t a huge concern. The Blue Devils are a quality, veteran team. No, the real problem with the Wildcats so far is the lack of depth. Jarrod Polson, a star against Maryland, was completely ineffective against a more disciplined defense, and John Calipari only trusted Willie Cauley-Stein enough to give him six minutes. The continued absence of Ryan Harrow leaves Kentucky without a true point guard, a role not suited for Archie Goodwin or Julius Mays. Still, in watching the young Wildcats play, it’s tough to argue that they have the highest ceiling of any SEC team. LSU went immediately to work this week with new coach Johnny Jones, but without the aid of a cadre of experienced big men. 6’9″ forward Johnny O’Bryant, who averaged 8.5 points and 6.7 rebounds per game last season, will be counted on to lead the way on the low blocks this season. Other than O’Bryant, the Tigers are fairly thin in the frontcourt. A pair of junior college transfers, Shavon Coleman and Calvin Godfrey, could be counted upon to provide quality minutes. And so far in practice reports, Coleman, who has drawn the task of defending O’Bryant, has “held up well.” Coleman stands at just 6’6″, but will likely spend a majority of minutes guarding larger opponents at the power forward slot. Tony Barbee is feeling confident with his new-look Tigers, but if he is going to get Auburn over the .500 hump he will have to do so with six new faces this season. One of the less heralded freshmen, 6’3″ guard Brian Greene, Jr., could end up being the most productive. The freshman is considered a strong candidate for the open point guard position, and he has drawn praise from returning guard Frankie Sullivan. “It is just not that he stands out, but you always see the guy,” Sullivan said. “Even in the drills, he is the one who is catching on the quickest.” Sullivan will likely start at the two guard spot. He led the Tigers in scoring last year with 12.6 points per game, but still wasn’t 100 percent because of a knee injury that sidelined him during the 2010-11 season. 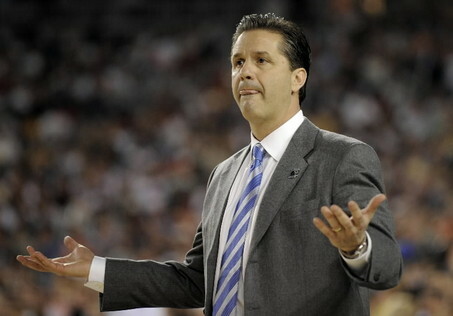 Want to know why Kentucky has been so good in the Calipari era? They score more points than the other team. And that is not purely because of offense, but because the Wildcats have been a lockdown defensive squad under Coach Cal. For three years running, the Cats have ranked in the top 10 in the nation in three defensive categories: effective field goal percentage, two point percentage, and blocks. According to Glenn Logan at ASoB, “Kentucky has been #1 in the nation in blocks three years running – an impressive statistic that very few people mention when analyzing the Wildcats.” But likely because of that strong protection around the rim, Kentucky has given up a higher percentage of three-point attempts and subsequently a higher percentage of three-point field goals. As Logan points out, “If you’re taking 3’s, you’re not taking 2’s closer to the basket.” With top defender and shot blocker Nerlens Noel guarding the basket, that might just be the plan. The Arkansas faithful hasn’t exactly witnessed the football success it had hoped for, but there is a certain optimism towards year two of the Mike Anderson era in Fayetteville. And according to Doc Harper of ArkansasExpats.com, the Hogs should be in the NCAA Tournament. “Bottom line, if BJ Young is deserving of all the hype he’s getting, Arkansas will be in the tournament in March,” Harper says. “Any NBA lottery pick should be able to lead a team to the NCAA Tournament on his own.” The Razorbacks should be much improved from a 6-10 SEC mark last season, but it won’t be Young alone that gets them there. Arkansas’ depth should be enough to unleash a full 40 minutes of Anderson’s fast paced system. Uni watch 2012 is in full effect. With a number of departures from a solid team last season, we are not certain what the Crimson Tide will look like on the court. But we do know that they will be doing it in style. Alabama joined the Nike Hyper Elite team with basketball stalwarts Duke, Kentucky, Syracuse, and North Carolina. The current Tide players showcased the new slimmer look with the Alabama specific print on the back. Alabama lost leading scorers JaMychal Green and Tony Mitchell , but return enough talent to make a splash in the SEC standings. Georgia won its first two games of the season against Wofford and Bowling Green, but there are some concerns for the Dawgs moving forward. The University of Georgia student newspaper points out that the Bulldogs have been outrebounded in three of the four halves they have played thus far this season. “It was definitely frustrating, especially coming from a team last year we were really good in that area,” said senior guard Dustin Ware. “It’s something we’re definitely going to address and we’re just going to keep getting better at.” Rebounding was an area that Georgia expected to experience problems in after the Bulldogs lost big men Travis Leslie and Trey Thompkins. However, being outrebounded 43-28 by Bowling Green is a major sign of trouble ahead for when Mark Fox’s team plays bigger and stronger teams in the front court. I feel like I’ve heard this story before: An SEC big man goes through a physical transformation in the offseason and plans to contribute more to his team this season. Unlike Renardo Sidney’s supposed improvements, this time, it sounds like reports of better conditioning and a new look seem to be true. Ole Miss sophomore Demarco Cox has worked his way into the starting lineup for the Rebels after dropping 40 pounds over the summer. He’s running every day and changed his diet and the hard work seems to be paying off. Cox started on Monday night against Grambling State, and the big man grabbed ten rebounds in 35 minutes of play. The Rebels will need Cox’s continued improvement in order to provide additional depth to a front line that is already one of the best in the SEC. Speaking of Renardo Sidney, Andy Katz points out how detrimental he can be to Mississippi State’s on-court chemistry. Sidney is expected to play Thursday night against Texas A&M after missing the last game with a groin injury. Coach Rick Stansbury is hoping to get to a point where he can play Sidney alongside transfer Arnett Moultrie. “There’s no question they can play together,” Stansbury said. “Arnett can play inside and out. There is plenty of room on and off the court. Arnett is a terrific rebounder. And the two of them would be tough to handle in there. But our challenge is not about minutes together but to have [Sidney] have productive minutes. We hope it gets better.” The Bulldogs need to right the ship after an early season loss to Akron, and any corrective measures begin with Sidney. Sidney and Moultrie could be one of the SEC’s most dominant frontcourts, but Sidney just can’t seem to get to a point where he helps MSU more than he hurts them. SEC basketball is accustomed to playing second fiddle to football season, especially in pigskin-crazed Florida. But it seems that in the midst of a mediocre college football season, Gator fans are beginning to turn to basketball much earlier than usual for a reprieve. The University of Florida student newspaper, The Alligator, writes that Billy Ball (referring to Billy Donovan’s typically fast and exciting style of play) is the perfect cure for those needing to turn their eyes from the football field. Donovan’s team this year likes to run with the potential to win frequently. And the author even thinks a Final Four year could be in store. Based on their play against Ohio State Tuesday night, Florida needs to figure out a way to involve their low post players more and begin playing unselfishly if the Gators are going to satisfy their fans. Florida has a difficult schedule coming up with games against Syracuse, Arizona and Texas A&M. While those will be exciting, the ultimate excitement comes with winning big games and not simply playing in them. 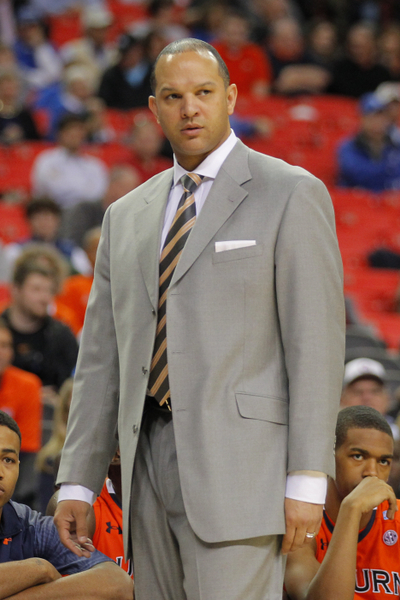 Auburn fans are satisfied with the progress on the court for second year coach Tony Barbee. The Auburn Plainsman writes that improvements are already evident. The author points out that “the team played with as much heart as any in the country, and that shows effective coaching.” The Tigers are 2-0 to start the new season, and the effectiveness of the Tigers appears to lie with the progress of junior center Rob Chubb. Chubb is averaging 17 points and seven rebounds per game in 24 minutes of action. Auburn will continue to rely on a solid post game from Chubb and the contributions of 6’1″ guard Frankie Sullivan, who sat out last year with an injury. After struggling a bit against McNeese State, Sullivan came back to score 22 points and grab five rebounds against Kennesaw State. The Make or Break series will tell us what we need to know about each SEC team by looking at the three most important non-conference games on each team’s schedule. Depending on the outcome, these three games could make OR break that team’s season because of the strengths it shows or weaknesses it could expose. The next team in the series is the Auburn Tigers. The Auburn Tigers look to improve on what was a dismal 2010-11 season. Last season, the Tigers went 4-12 in SEC play, and were a forgettable 11-20 overall. In Tony Barbee’s first season as head coach, his team was known for its tough, hard-nosed play. But Auburn ranked second to last in the SEC in scoring offense (62.4 PPG), field goal percentage (39.8%) and 10th in rebounding margin (-0.9). The Tigers have a promising roster coming back this season, however, as they return 6’1″ guard Frankie Sullivan after a season-ending injury last year. Sullivan only played in six games last season, but averaged over 12 points per game in his freshman year. Barbee has also secured a couple of impact transfers in former Texas guard Varez Ward and former Clemson guard Noel Johnson, who will be eligible in December. If Auburn can continue its gritty play, and find a consistent offensive presence somewhere on the court, then year two under Barbee will be a lot better than the first.